Excessive snoring in sleep is a disease that eventually occurs inadequate and uncomfortable breathing in sleeping. Approximately 5-9% of people has breathing problems in sleep. HOW OBSTRUCTIVE SLEEP APNE SYNDROME IS DIAGNOSED? • by analyzing a night sleep study (polysomnography) in the sleep laboratory.• During sleep study (polysomnography), your sleep status and abnormalities in your sleep due to your breathing exchange, rhythm of your heart, devices monitoring your blood oxygen level are observing by the electrodes that are stuck to your body with monitoring.• Data obtained using specially developed computer programs are analyzed and, while diagnosing, treatment options are determined on the one hand. HOW OBSTRUCTIVE SLEEP APNE SYNDROME IS TREATED?• Weight loss can provide benefits.• Alcohol should not be taken in the evening hours.• Patients should not take the pills that effect the breathing in sleep.• Disorders that should be treated by surgery, should be performed. • The snoring reducing position is taken when sleeping.• Oral devices can be tried.• Continoous Positive Air Pressure (CPAP) application can be used while sleeping. In many patients with OSA, airway narrowing and collapse occurs in the area of the soft palate (back part of the roof of the mouth), tonsils, and uvula. The specific type and combination of procedures that are indicated depend on each individuals unique anatomy and pattern of collapse. Therefore the procedure selection and surgical plan must be customized to each patient. In general, these procedures aim to enlarge and stabilize the airway in the upper portion of the throat. Multiple procedures are available to reduce the size of the tongue base or advance it forward out of the airway. Other procedures aim to advance and stabilize the hyoid bone which is connected to the tongue base and epiglottis. 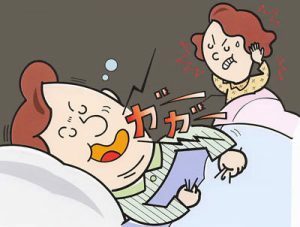 A more recent technology involves implantation of a pacemaker for the tongue (hypoglossal nerve stimulator) which stimulates forward contraction of the tongue during sleep. As with palatal surgery, the most appropriate type of procedure varies from one individual to another, and is primarily determined by each patients anatomy and pattern of obstruction.